And there might just be a sweet little ghost, too. Stay tuned next week. I’m also sewing Halloween costumes. We will have a dinosaur, a mad scientist, and Ruth Bader Ginsburg this year. Just in case you think Ruth Bader Ginsburg is an unusual choice, keep in mind that this kid has been Pharaoh, Abraham Lincoln, George Washington, Amelia Earhart, and a suffragette for Halloween. “It’s historical hysterical,” as she will happily tell you. 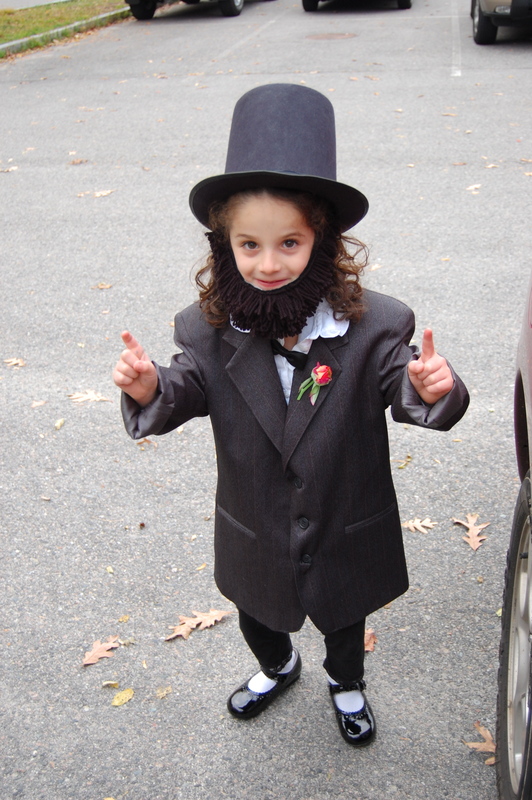 Roxanne as Lincoln when she was 5. Even now, at age 10, she will tell you that this was the best day of her life. 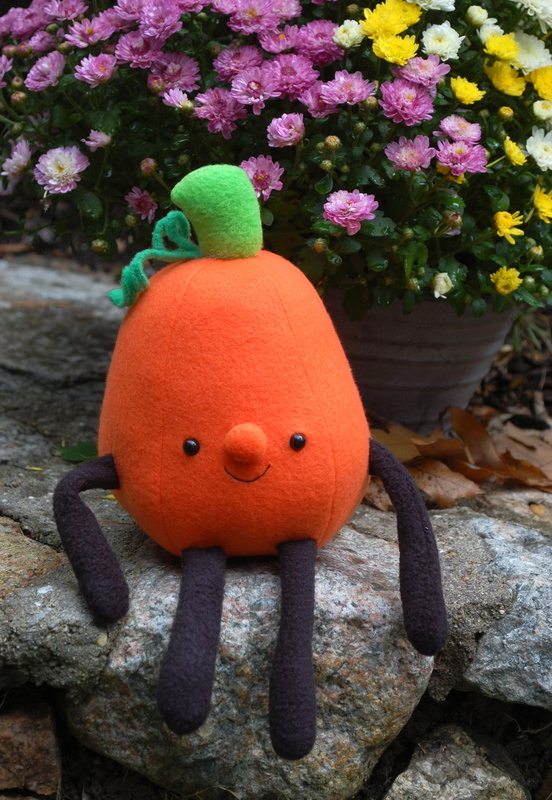 What are you sewing for Halloween? « You Need an Email Newsletter, But What Should You Put in It? I love that little pumpkin so much!! I’m busy working on an Outlander costume for myself. I think my son will dress up like a construction worker, which means I should make him a little safety vest! I’ve seen safety fabrics at Joanns. I’m sewing an Anna and an Elsa.. Highly deviating from the pattern though!!! Your daughter sounds pretty awesome, what a fantastic picture!! And, I love that pumpkin. 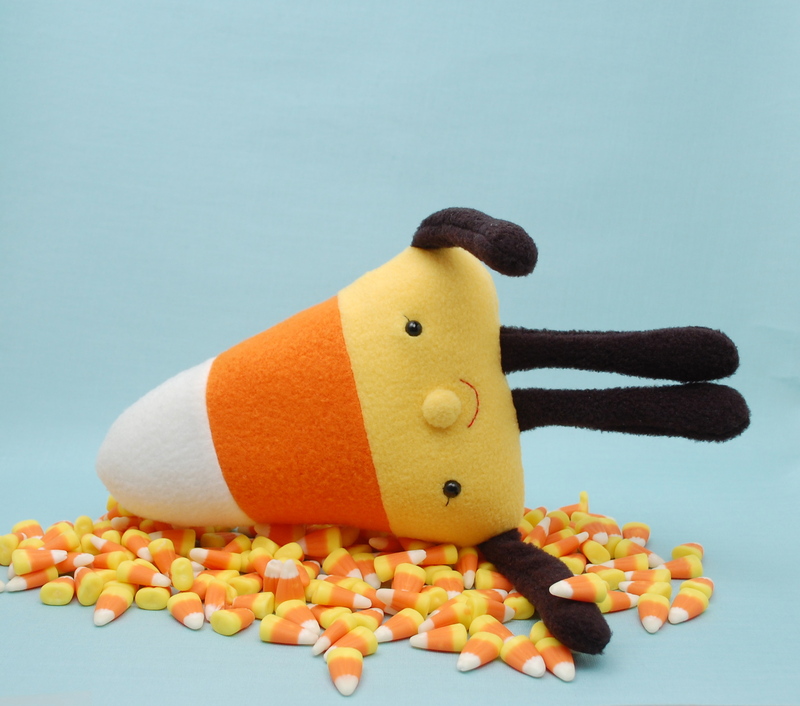 So cute – the pumpkin and candy corn and ESPECIALLY abe lincoln. Do you have kits for sale? I’d love to try softie sewing, but I’m timid. A pumpkin or candy corn kit would be just the thing to let me dip my toes – not to big, not too time consuming, super cute reward. Thanks Abby! Yes, I am familiar with Wendi, I’ve bought some of her felt embroidery kits – I found her through your site. Judge Judy! That’s hilarious. Thanks, Sharon.